 A first novel that spins its wheels in the rut of 1990s New York City club life and never manages to get on track. Salty, a tough, cranky 23-year-old, has a devastating crush on her womanizing apartment mate, Minty. The two have lived together since the age of five, when Minty's parents (who were Salty's parents' best friends) took Salty in after hers were killed in a plane crash. Now that they are grown up and have their own Upper East Side apartment, Salty fears that beguiling Minty will always view her as a sibling. She obsesses about him, follows him to loud bars she hates, and, through tears, watches him date a string of mindless tarts. When she finally confesses her love, he reciprocates; he dumps the other women and moves Salty into his bedroom. Meanwhile, their careers soar. Salty, a budding actress with only commercial credits, lands a part on a soap opera. 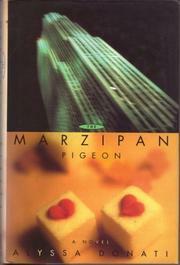 Minty, co-owner of a successful new restaurant, The Marzipan Pigeon, is sought after for his pigeon paintings, which adorn the restaurant's walls. A sleazy art dealer befriends him, arranges a gallery opening, and lures Minty into his glitzy circle. The plot alternately stalls and repeats itself for the rest of the book: Minty loves the downtown scene and wants to stay out late at Nell's with models draped on his arm. Salty, upset by the drugs and insincerity of his arena, chain-smokes, curses, and wishes that things were back to normal with Minty. Often the characters speak in the same voices, using expletives for emphasis rather than descriptive words; at other times their actions are unaccountable. The book is at its best not when it is exposing the shallow and tedious world of club denizens, but when it offers a lighthearted glimpse of soap-opera life. Underdeveloped, unsympathetic characters and repetitiveness make this wearing.